Minnesota has been enduring sub-zero temperatures this winter, but Twins fans have reason to think sunny thoughts. 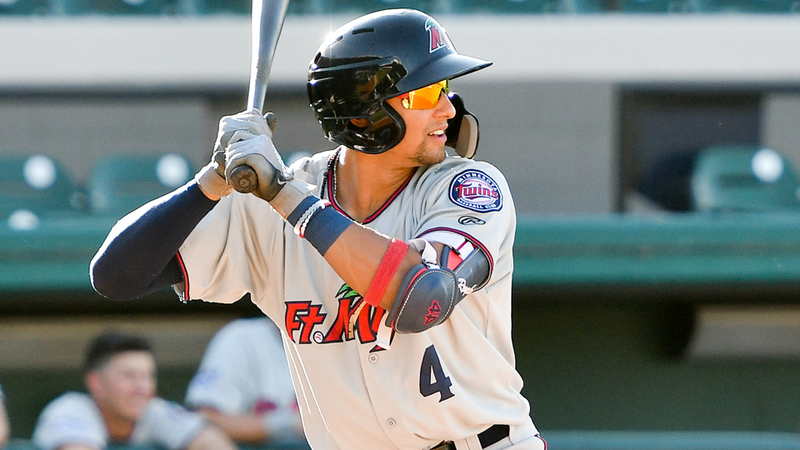 The club's top two prospects -- Royce Lewis and Alex Kirilloff -- headline a group of 20 players who received non-roster invitations to big league Spring Training camp in Fort Myers, Florida, the team announced on Saturday afternoon. It's the first time both youngsters begin Spring Training on the Major League side of CenturyLink Sports Complex. Lewis and Kirilloff -- who finished 2018 as MLB.com's No. 7 and No. 10 prospects, respectively, lived up to or even surpassed lofty expectations last year. Both garnered Midwest League All-Star nods with Class A Cedar Rapids, with Kirilloff earning a Futures Game selection. "Those guys both put in a ton of effort," Twins chief baseball officer Derek Falvey told MLB.com. "They certainly had successful seasons, but it's not a question of whether or not they performed. It's more just the next step in the path. I've seen with so many young players we have in the big leagues now, getting their eyes open a little bit at a big league camp. "Getting to see Nelson Cruz doing some work and what that looks like, that's a benefit to those guys." The Twins selected Lewis with the first overall pick of the 2017 Draft out of a Southern California high school. He went yard in his first professional at-bat and has scarcely slowed down since. The 19-year-old shortstop enters 2019 with a .288/.361/.451 slash line, 61 extra-base hits (including 18 homers) and 46 stolen bases in 175 professional games. He split last year between Cedar Rapids and Class A Advanced Fort Myers and should break camp with Double-A Pensacola. Kirilloff likely also will be ticketed for Pensacola on Opening Day. The 15th overall pick in the 2016 Draft missed the entire 2017 season after undergoing Tommy John surgery but rebounded by slugging 20 homers and collecting 101 RBIs while batting .348/.392/.578 in 130 games between Cedar Rapids and Fort Myers last summer. A 21-year-old outfielder, he has a 60-grade bat and rates 50s with each of his other four tools, according to MLB Pipeline. "Hopefully, it's going to be an eye-opening experience, being able to play against guys at that level, and ... that's the end goal, being able to kind of stack yourself up against some of those [Major League] guys in Spring Training," Kirilloff told MLB.com. Outfielders Brent Rooker (the Twins' No. 7 prospect) and Luke Raley (No. 19), catchers Ben Rortvedt (No. 24), Brian Navarreto, Wynston Sawyer and Tomas Telis, infielders Dean Anna, Randy Cesar, Lucas Duda, and Adam Rosales, right-handers Ryan Eades, Jake Reed, Chase De Jong, Preston Guilmet, Ryne Harper, and Mike Morin, left-handers Tim Collins and Justin Nicolino also will be attending big league camp.